If your job requires you to spend a significant amount of time in front of a computer, how many mails do you write per day at work? I do send around 30 -50 emails per day on average which includes mails to my team members, direct reports, leaders and colleagues. I write mails to people working in my organization or some other organization we deal with. It is very difficult to cope with a inbox which receives a mail every couple of minutes and you require to answer a few of them as soon as possible. You go crazy at times when an email you receive does not mention clearly the purpose for which it is sent, and you have no clue why the mail is sent to you in first place, it aggravates when the same mail asks for your opinion. 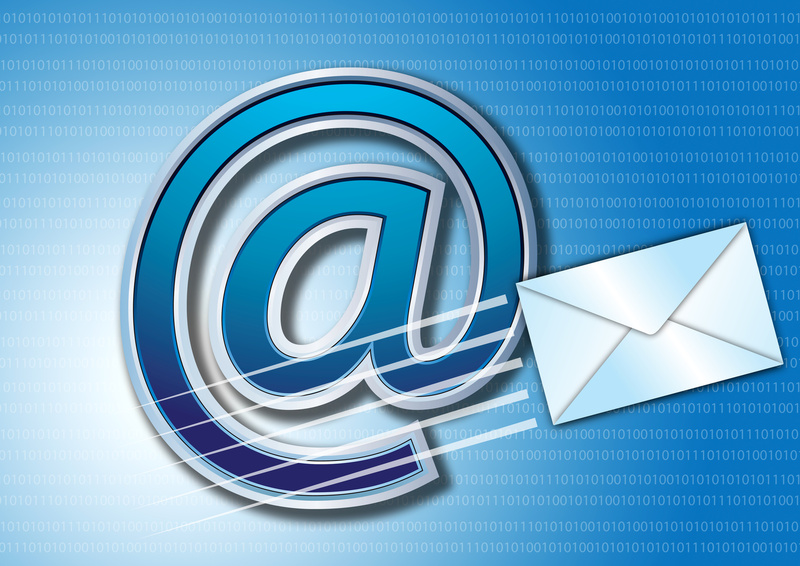 Do you know if somebody else is at the receiving end because of one of your email? Very often this becomes true when you are under mercury boiling situation. 1. Carefully select your ‘To’ list and ‘CC’ list, I never use ‘BCC’ unless absolutely necessary, I use BCC only when ‘CC’ list is already too large to annoy the recipients. Only include the names in ‘To’ list who should be reading your mail and take necessary action. Include ‘CC’ list only on ‘need to know’ basis. Copying too many names often annoy people in To list as well as CC list. If you should keep the email private, do so by not copying anyone. 2. Choose a subject line that is meaningful to the recipient, not you; also see to it that it is relevant to the content of the mail. Don’t write a mail with a subject “Few questions”, “give feedback” or “help needed”. I will open mail with these kind of subject when I don’t have any thing else to do, unless it is from my boss. 3. On important emails addressing recipients has great significance, especially while writing to your superiors, clients and potential recruiters. Your email is an important mechanism for people to measure your personality when you are physically separated. The use of ‘Hi’, “hello”, “dear” or “sir” should be as appropriate as possible. Refer to daily writing tips, if you want to explore more. 4. Start your mail by explaining main purpose of the email. Don’t give people surprises at work, often we do not have time to go through the entire content, we try to find the purpose in first few lines, also this is particularly useful for the people whom you have copied, you are doing a favor to those people. 5. End the mail with call for action, by clearly listing what is needed to be done by the recipients. we forget almost 80% of what we read in no time, by placing call for action at the end you are reducing the chance of your recipients forgetting about things that need to be done. 6. Mainly corporate America use Outlook or Lotus Notes for email, these tools provide options to select your default email template, make sure yours is a professional one, I don’t want to see my lawyer’s email with a picture of a basket ball or someone riding a horse. 7. Your signature should display at least the following detail, your role, your position, department, organization, division, contact number and email id. You can also choose a professional quote. Do not include “If I am not answering, I am out fishing” type quotes in your work email signature. Inclusion of quotes by famous people shows your outreach and knowledge about things outside your work domain. 8. Is there any action required by the recipient or any information being sent to them? If no, why are you writing the mail? If call is a better option, then write a one liner email that you want to talk if you are replying to some call of action. 9. It is OK to write email with only subject line, but do not forget to include “No Need To Open” or “NNTO” words in the subject to help the receiver save some time. 10. Always set up ‘out of office‘ auto responses while going on leave. This is one major etiquette to follow at work. Clearly mention out of office dates and delegates information in your absence. It is good practice to include escalation contact as well in this memo. 11. use spell checker and make sure it is turned on by default. Spelling errors cause most embarrassments and humiliation in communication, “let me know if you have any concerns” can easily become “Let me know if you have any cancers”. 12. When writing a long email to your seniors, business partners or clients, make sure grammar is correct, one tip is to paste the entire content on word processor and applying grammar check on it. 13. Do not sit on an email for long, if it takes time to action on an email; send out a reply that you are on it as soon as possible. 14. When you are angry, don’t hit that ‘Submit’ or ‘Send’ button, pause take a break, do something else before sending a mail to some one you are mad at. 15. always be politically, legally correct in your email, you can talk many things on phone but can not write in emails, always remember and be within permissible limits, your colleague can be as hot as an oven, but that should not go in to writing. Never mention anything negative about your boss in an email irrespective of the recipient. 16. Re-read and edit your long emails. When you are writing an email, you are merely putting your thoughts in to words. You might not be putting in the sentence formation in correct way. I suggest, once you are done with writing, before hitting the submit button, read the mail once again. Often I found, grammatical, spelling, data or factual mistakes along with the placing of sentences during this review. Readers, let me know what do you think about the tips above, what extra precaution you would advice others? What interesting slip-ups happened in your email writing history? These are some great tips – Sometimes I read emails that make me question the credibility of the person writing and the point of the email. Unfortunately, the people who need these are typically not the ones that read them. this is a good point Jason. I often get mails on topic I have no clue about. At work this happens a lot, people copy almost any one they know..
Great tips! I never heard of NNTO. Is the blatantly bad grammar in this article supposed to be ironic? Why would anyone take advice on proper email etiquette when the article’s author didn’t even bother to proofread his work before it was published? Dear, I want learn better e-mail writing. Could you suggested me books or others way like e-books to options that you can find me. please send reply at [email protected].